Allison Wallace hails from the piney woods of southeastern Louisiana, in the upper toe of the “boot,” right on the Pearl River and about an hour’s drive from New Orleans. 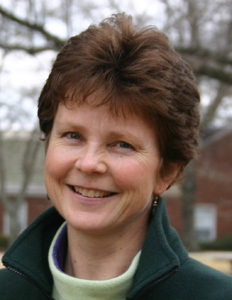 Having spent her childhood there and along coastal Texas and Mississippi, she went on to attend the University of Mississippi and later the University of North Carolina, where she completed doctoral work in American literature in 1992. Her first full-time faculty post, at Unity College in central Maine, lasted nine years, where she taught interdisciplinary humanities courses in the literature and history of the American land. All those cold, bitter New England springs (not the winters, which were wonderful) eventually moved her to trace her way back South, via the Honors College at the University of Central Arkansas, where she has been since the fall of 2001—minus a half year spent on a Fulbright grant at the University of the Ryukyus, Okinawa, Japan. As time permits, she enjoys reading, writing, hiking, canoeing, traveling, gardening, and—of course!—keeping honeybees. Food and farming, as well as the art of the essay, remain her personal and professional passions.